[sorry but I was trying to compress it to make it small since the previous vid I saved be4 was 1+gigs so hope its not bad]. And sorry was trying to finish recording before my battery died. Yes there are still issues with text and stuff [that I thought was fixed but I was wrong XD ]. Also I need help with getting the rest of the intro scripts working right [i posted it here and I have spent a lot of time trying to fix it, almost a week but i did do other scripts.]. credit to Bleueon for the hero and other trainer sprites. Last edited by Mikekillkill; 7th August 2014 at 03:35 AM. k so here is an update. Since the rom has errors and messed up we are restarting from scratch again. But this time we are going to use the ProjectUnamed(Complete) rom base while waiting for our new tile set rom base from SicariusCredo3. This should be our last time restarting the hack until transferring over to that rom but since we r using most of the same tiles. It'll take a short time to transfer over the scripts. We need some help though for SicariusCredo3 and the maps since we have 2 mappers [but 1 hasn't been on]. VERMILION CITY is the last city that has new scripts in so there is a decent amount of the story. 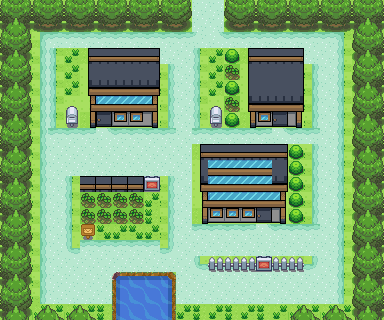 BTW Pallet Town [+ 1 map for region 2] is mapped and Oak's intro is done. Last edited by qaz015393; 9th August 2014 at 05:07 AM. We managed to get 2 maps imported into the new rom, there for the 2nd region and thats all im saying about that. Anyway just did/fixed the home town and got 2 versions of them. Last edited by qaz015393; 12th August 2014 at 05:06 AM. ok so here is the reason for a delayed post, my cousin passed not that long between my last post, I was busy with looking for another job and work. Also was learning how to insert some tiles from Le Pug's tuts. I found some more tiles that i would like to use since I got feed back that we need some more. I plan on using the ones from here. So credit to every1 the poster credited. I manged to insert some tiles so check them out. And Im not going to start transferring over the scripts until the tiles, maps, pokemon are inserted just so we dont get problems with the scripts. [will update the 1st pg credits when we r close to the next demo. Last edited by qaz015393; 6th September 2014 at 05:24 AM. I decided to release the rom i was working on inserting the scripts in before we got the tile set rom by SicariusCredo3 so this new Pre-Beta V.05 [even though its old] is buggy so please dont mention them since they will be fixed in our new rom. 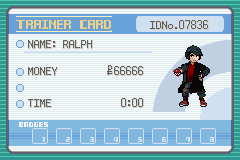 But we do have a few new gen 4 pokemon in our new rom so its making most of my apps crash so that is why this old rom is now being released since we are working hard on the new rom. Also in the new release there is new scripts up to the 4th badge. Last edited by qaz015393; 15th September 2014 at 05:35 AM. There is a download link, if u look throught the 1st post on page 1 u will see DOWNLOAD in big letters and a link. U download the link and use either winrar or 7zip to extract then use UPS Patcher to patch it on a clean copy of Fire Red. 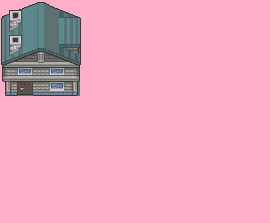 And it goes up to VERMILION CITY [which is re named]. Not much of an update but Im trying to port over the scripts without any glitched/bugs but found 2 so far so working on them. 1 major one is that when u get close to 1 of the new characters in Viridian city the screen turns purple and freezes [be4 it was stuck on a messed up text screen... so got rid of that problem and ran into another XD ]. Anyway we got an inserter who inserted a good # of scripts. Now we r trying to get rid the bugs be4 moving on... not to mention we are busy.